Are these dark, dreary, cold Winter days giving you the blues? Now that you’re spending more time indoors, do you wish you could bring in more light, more color, and more cheer INTO your house? No problem! 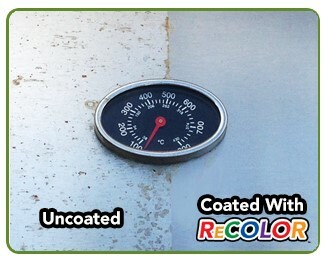 ReColor by Wipe New is here to help with these simple changes that can make a big difference! Invest some money in purchasing tablecloths, curtains, bedding, and sofa/sectional slipcovers that are white, ivory, or a light color. You’ll be amazed how making these bigger home items a lighter color can make a whole room feel lighter and brighter. Make sure that they are easy to wash to keep them nice and bright over time. Plants are a great way to bring “new life” into your home. Houseplants are known to help improve your mood and, of course, they can help to clean the air in your home. Depending on what plants you use, you can even add some pops of color into your environment. When it gets closer to spring consider adding vegetable and herb gardens into your house. You can also occasionally buy some fresh flowers from the market and bring them home for some color! Windows screens are typically not needed during the winter months as most people don’t usually open their windows when it’s so cold outside. Removing the screens can actually help to bring in more natural light. Highlight your house with pops of color. Use some vibrant throw pillows. Add a colorful end table or lamp into a room. Also add some color on the exterior of your house. For example, you can place some brightly colored pots on your porch or some brightly colored lawn ornaments in your flower/landscape beds. Concerned about the winter elements on these items? No worries! Treat these items with Rust-Oleum ReColor by Wipe New before placing them outside and rest assure knowing that they’re protected from the wet and cold. Different types of lights can produce different moods for different people. Some people prefer warm white and others prefer cool white. Some bulbs work well for one room, while others work well for another. Switch them up and see what you like best. Also don’t forget to utilize natural light sources (i.e. candles and fireplaces). While they don’t make your room brighter, they are warm, peaceful and relaxing after a long day. If you live in a place that is cold and snowy, often projects around the house get put off until spring. 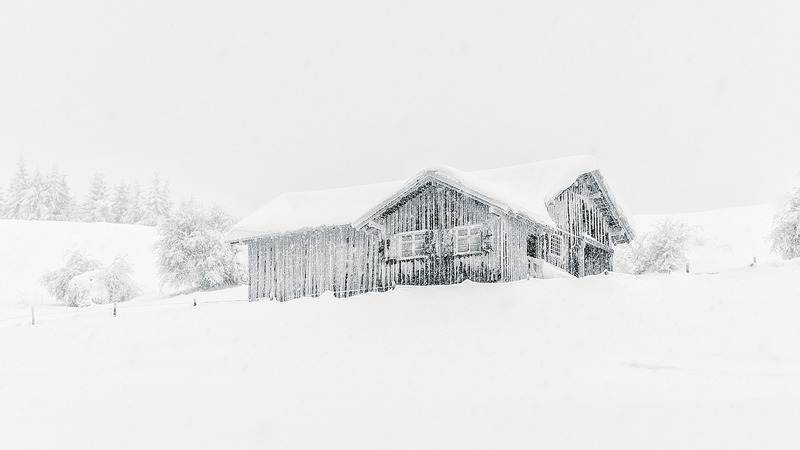 Here are some winter home maintenance and DIY projects you can tackle during the winter months. Always be prepared for winter weather. Keep extra drinking water and non-perishable food on hand in your house and car at all times. Include at least one gallon of water per person per day and have enough for 3 days. Don’t forget a manual can opener! Also, have plenty of batteries and flashlights ready for power outages as well as a crank weather radio. If you have a garden shed or a garage, you can do most projects you would outdoors while being nice and warm. Just make sure you have proper ventilation before you use your ReColor! Did you know that January is national Get Organized month? It’s a great time to declutter! Start by getting rid of old clothes that you don’t need, wear, or that you don’t like and take them to a clothing donation center or bin. Don’t try and tackle the entire house at once – start small and go slowly. Winter’s a great time to work in the bathroom! Clean up the grout and tiles (and maybe apply some ReColor to those tiles while you’re at it to really keep them shiny). A new shower curtain in bright colors can do wonders for brightening up a bathroom, and maybe get some new towels to match. It’s easy to get cabin fever this time of year, so keeping busy with home projects can help. 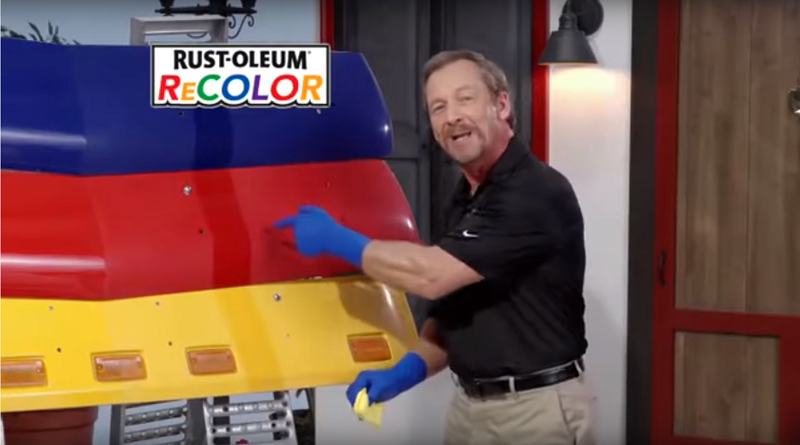 Watch the New Rust-Oleum ReColor by Wipe New Commercial! 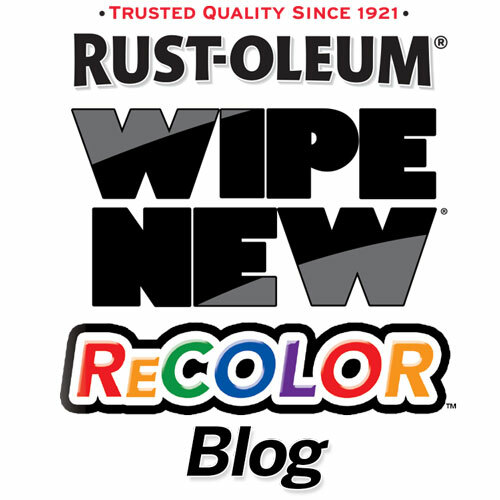 Rust-Oleum ReColor, brought to you by the Award Winning brand Wipe New, is a clear coating that restores original color and shine to multiple surfaces types INSTANTLY! The wipe-on application is easy to do and allows Rust-Oleum ReColor to go on where paint cannot! The season of spring is often associated with cleaning, but fall and early winter can also be a perfect time to do some of those outside cleaning projects. Days filled with warm sun and cool air are great opportunities to clean, protect, and restore those vinyl shutters. Brush off all loose dirt and debris from your shutters. Remove this dry debris from the ground underneath the windows before you move unto the next steps to avoid a waterlogged mess. Use your garden hose to rinse the shutters thoroughly. This removes any remaining loose dirt the brush has failed to remove. Dip a mop into the bucket of 4 parts warm water and 1 part dish detergent. Rub the entire surface area of each shutter as thoroughly as possible. Do not allow the cleaning solution to dry. Use the hose to rinse the shutters clean at one window, before moving on to the next. Wipe the shutters clean with a microfiber mop. This eliminates any lingering marks. Now that you’ve thoroughly cleaned your shutters restore and protect them with ReColor. ReColor is a clear coating that restores original color and shine to multiple surfaces types instantly and it works perfect on shutters. 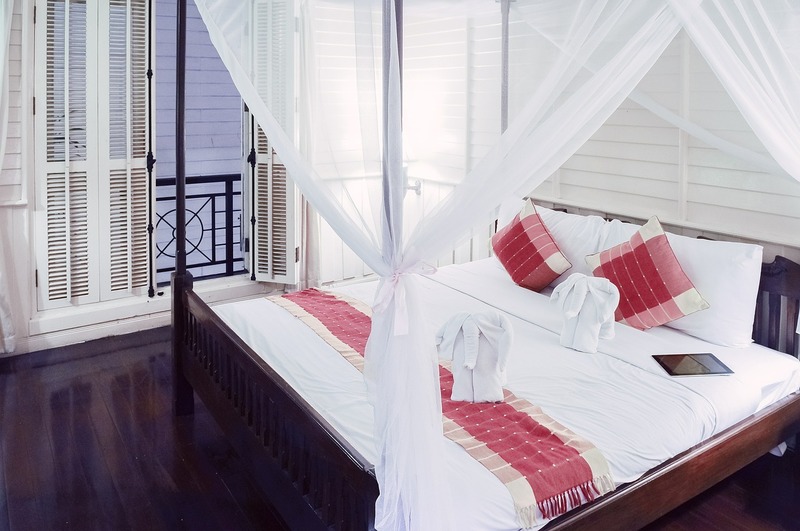 It’s easy to use and the shutters don’t have to be removed. Simply remove the cloth from the ReColor package, dab some ReColor on and wipe over the target areas for a shiny new look! The end of summer does not mean the end of yard care. In fact, autumn is a great time to use the cool weather to fertilize, control weeds, and improve the overall health and appearance of your yard. Here are some tips to help get you started. Continue to water and mow your lawn, as needed. As fall comes to a close drop the mower’s blade to its lowest setting for the last two cuttings of the year. That will allow more sunlight to reach the crown of the grass and cutting your lawn slightly shorter in autumn helps prevent the grass from matting down under leaves and snow. Avoid cutting the grass too short, however. Tightly clipped turf has fewer roots and allows weeds to get a foothold. 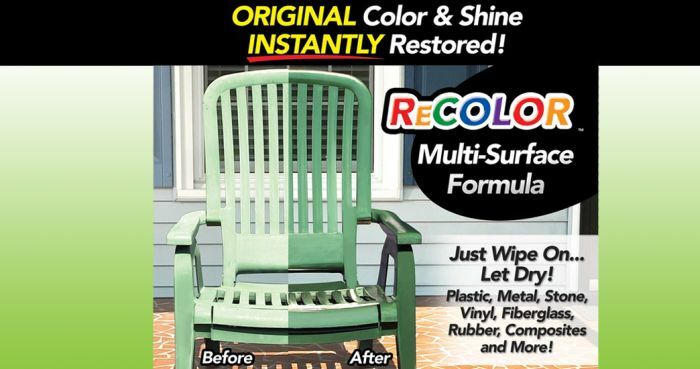 And before you put that lawn mower away for the year, why not give it a coat of ReColor to help brighten and protect the finish? Most lawns need water whenever it’s dry — no matter the season. If you had a lot of dry days – or drought – water once or twice per week. Water long enough to soak the soil several inches deep. Early morning is the best time of day to water and try to avoid watering in the evening because that encourages fungal diseases. It’s important to remove fallen leaves from your lawn as soon as possible so don’t wait until all the leaves have fallen from the trees to start raking. If you do, the leaves can become wet from rain and dew. This causes the leaves to stick together and form an impenetrable mat that, if left unmoved, will suffocate the grass and breed fungal diseases. An alternative to raking leaves is to use a lawnmower fitted with a collection bag or vacuum system. These methods are particularly effective if you have a very large yard with many deciduous trees. Regardless of whether you use a rake or a lawnmower, be sure to remove the leaves before they turn into a soggy, suffocating mess. The early part of autumn is a great time to reseed any small dead or thin patches in cool-season lawns. If you seed in autumn, you’ll have fewer weeds and the seedlings will become established before stressful hot weather conditions arrive. A mulch product embedded with seed and fertilizer is a convenient way to fill the gaps. Spring or fall is a good time to start a new cool-season lawn or patch existing turf with sod. Moderate temperatures and abundant moisture get sod off to a quick start. High-quality sod should be thick, dense, and weed-free. Fall is also an ideal time to aerate your lawn so that oxygen, water, and fertilizer can easily reach the grass’s roots. 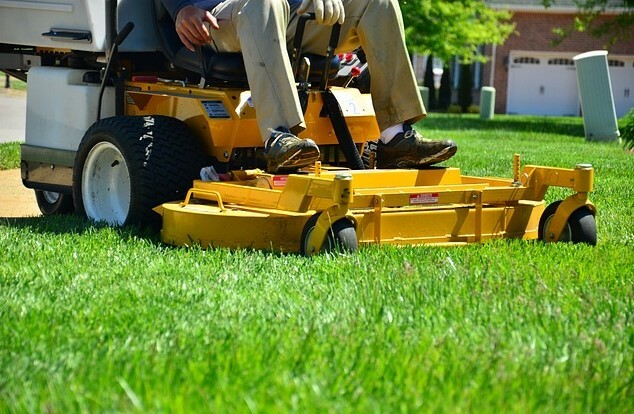 Rent a gas-powered, walk-behind lawn aerator and the self-propelled machine will quickly punch holes into the soil and extract plugs of dirt.